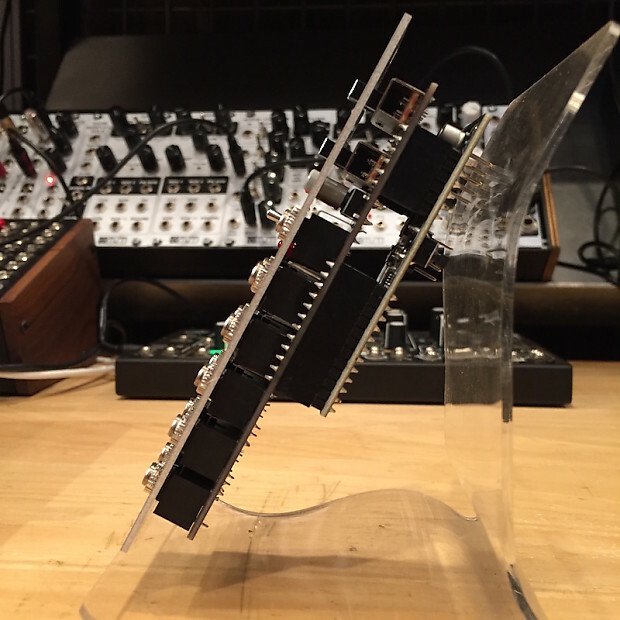 The Shifty is essentially a combination of four sample and hold stages, a sequential gate and sequencer controller. This collection of functions allow for some specific and useful utility application. 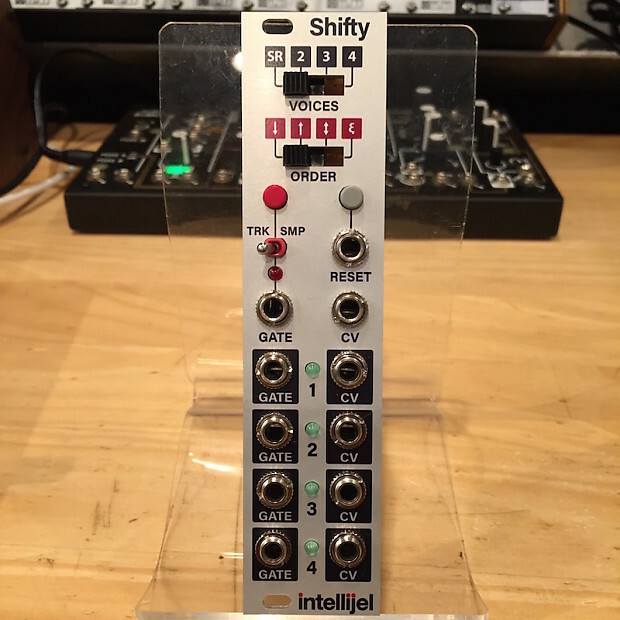 One of the primary uses for Shifty is to take a monophonic sequence source and route each new note of the sequence to up to four different synthesizer voices in a specific pattern. In this way you can create pseudo polyphonic sequences since each voice can be triggered to play and sustain while the next voice int the sequence gets triggered. Another term for this is . In Shift Register mode (SR) the directions are UP, DOWN, TOGGLE (via reset) and SCATTER. The pitch outputs are driven by a precision quad DAC. Firmware is updateable by USB so if there are some interesting alternative modes of functionality or special features we will be open to adding them. Please ask us about combined shipping rates for purchases of more than one module.